A pair of breathable, hi viz and waterproof overtrousers. 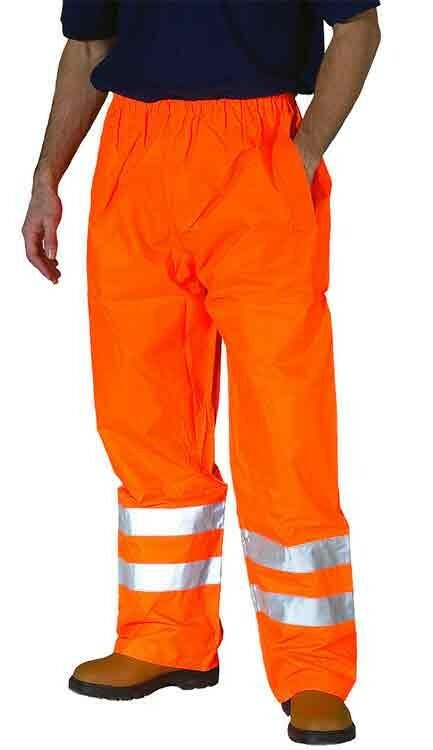 B-Seen BIT Birkdale Breathable Hi Viz Overtrousers are made from 100% polyester with breathable PU coating. To EN471 Class 1. Elasticated waist. 30cm gusset at ankle with Velcro closure for ease of use without having to remove your boots. Two side access pockets. Fully taped seams make B-Seen BIT Birkdale Breathable Hi Viz Overtrousers totally waterproof.